Use these proven, yet often overlooked, lead generation fundamentals to strengthen the online strategy of your business. 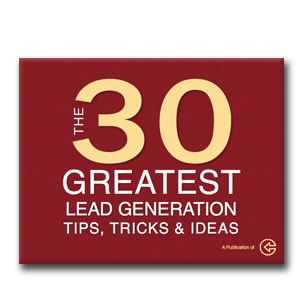 That's why we've compiled the 30 best lead generation fundamentals & lessons. This is a brand new guide designed to teach almost any Internet business how to double check their offers, landing pages, calls to action & forms. This is rock solid knowledge and will help you start reeling in those leads. This is your guide to lead generation fundamentals and more quality leads for your sales team. Get your free copy now just by completing the form on the right. Note: For a free lead generation fundamentals consultation, please make your request to schedule a date and time by email.